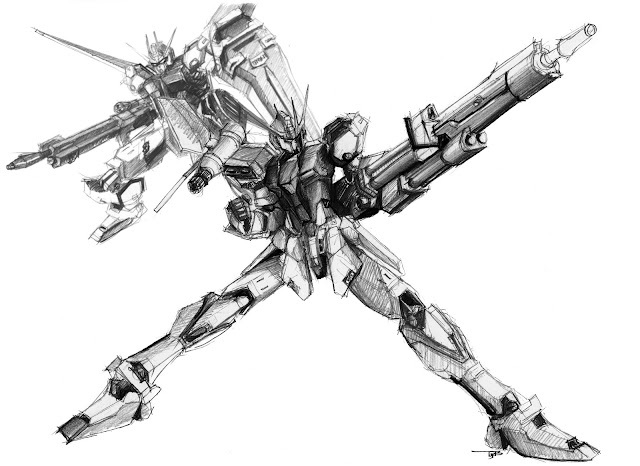 oh yea, Gundam Launcher Strike! hand sketched by me..
lol? 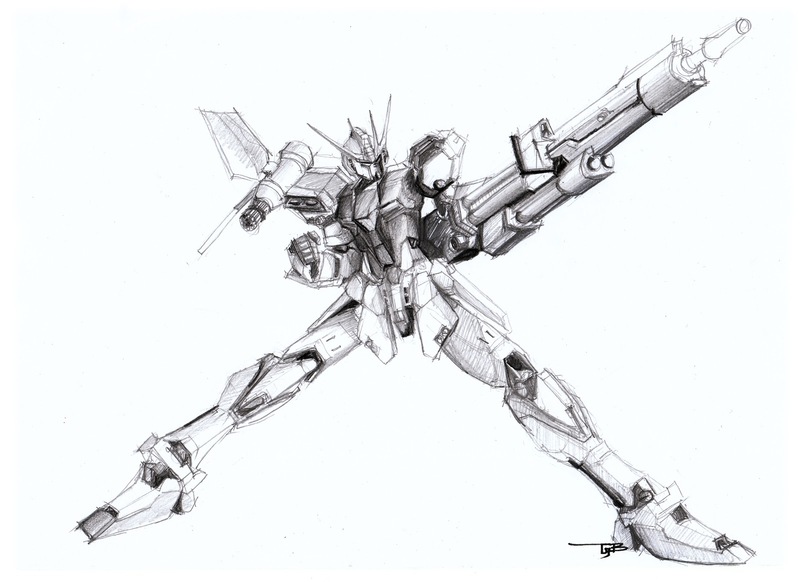 may be I can start a fan art section in my blog..
p/s: any guess on which Gundam sketch is coming up? Got this from www.genteikits.com If you haven't checked on them..they are AWESOME! they can get most of the Limited Edition gunplas in Japan!the shipping rates are very reasonable too. Here it is, the box is just made out of normal cardboard box. Not as fancy as the previous Bazooka box. phew~ for those of you wanted to waterslide up an RG Gundam. make sure you have tons of free time back in you pocket. I haven't detail up the dilemma silver parts I posted last few days ago. ended up decaling up the main body first. Although it is 80% done, RG Gundam Freedom Gundam already look AWESOME! It was a fun looking at my friend's newly started blog. there's only one post at the moment. But I'm sure he's baking something up. I never know Speed Grades looks this good..
Update for RG Gundam Freedom! Got the waterslide decals from samueldecal! and I can really say. Its Awesome as always. 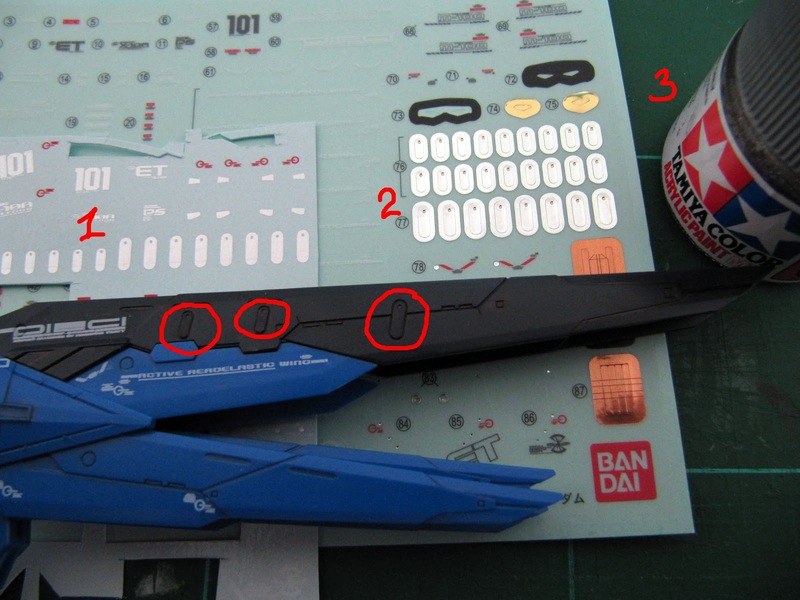 but there's one thing.. the chrome silver and grey stickers are the same here in waterslides. nonetheless, done the riffle and shield first.. I said in last few post that I'd do PG Gundam 00 Raiser for my next project..
well, I got a bit reluctant to do that massive beast. So this is what I'll be doing in between!. Lets pose the MG Gundam GNT-0000 00 QAN[T] + Full Saber IV shall we? so after some dry brushing and topcoating,.. here it is! MG Gundam Qan[T] + Full Saber IV. Pardon my 1st time dry brushing! special thanks to Syd from Gaijin Gunpla providing some tips on drybrushing through Facebook page. Final Decal update for Full Saber IV. Again~ The decals makes it look awesome! * Added some slash scratches beside the blade.. I think I really should dry brush.